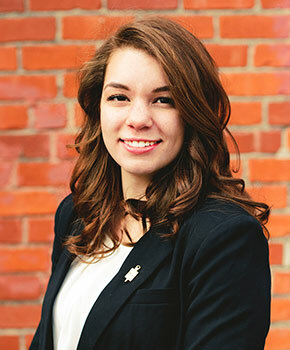 Mulvane student and Phi Theta Kappa Beta Phi Upsilon Chapter Vice President, Amira Lamb, has announced her decision to represent Cowley College and run for the office of International President of Phi Theta Kappa. Phi Theta Kappa, the international society of two year colleges, elects five new international officers at their annual convention. Chapter voting delegates will vote on the five positions: International President, Division I Vice President, Division II Vice President, Division III Vice President, and Division IV Vice President. International Officers of Phi Theta Kappa preside over the Annual Convention and Honors Institute. They also deliver speeches at regional meetings, hold seminars and workshops, as well as advance the mission of Phi Theta Kappa through collaboration with International Headquarters in Jackson, Mississippi. All Phi Theta Kappa members are eligible to run if he/she is in good standing with their chapter and is exclusively enrolled in an associate degree program at a community college. Lamb is a first year pre-medical student at Cowley College-Mulvane after deciding her original pursuit of nursing would not allow her to serve those she wanted to assist in the capacity desired. She is a very active member in the Beta Phi Upsilon chapter, serving as the chartering Vice President of Leadership and heading up BPU’s efforts to assist with the Sumner County Half Cent Sales Tax. Lamb also has begun a proposal for a food and basic necessity assistance pantry on the Mulvane campus. After Cowley College, Lamb intends to pursue her bachelor’s degree and then apply to medical school to become a geneticist. She would also like to serve as a medical doctor in underserved communities such as poverty-stricken, rural, or specific homeless services. Lamb will attend and campaign for International President during the PTK International Convention, “PTK Catalyst”, April 4-9 in Nashville, TN.